The French West Indies is a wonderful and uniquely different part of the Caribbean. 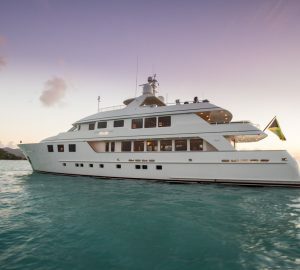 It’s made up of a collection of islands like Martinique, Dominica, Guadeloupe and Isle de Saints and as the name suggests, it is squarely French in heritage and this brings a distinctive flavour to a Caribbean yacht charter experience in this region. "Every island has its own natural and exclusive charm, after all this is the Caribbean at its best and that means idyllic temperatures, warm sun and delightful beaches." 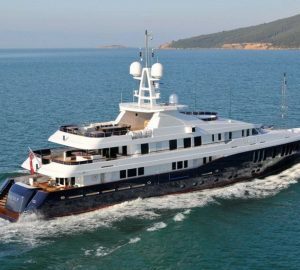 The allure of the Caribbean brings many luxury charter yachts from across the globe to the French West Indies each year. In addition some of the yachts stay here all year round. Every island has its own natural and exclusive charm, after all this is the Caribbean at its best and that means idyllic temperatures, warm sun and delightful beaches. But this part of the world also offers something more for vacationers onshore. Here there is a fantastic cultural mix. 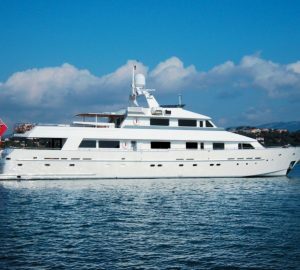 There are developed towns full of interesting shopping opportunities and nightlife, or pleasing restaurants overlooking the coast, and all are often only a short distance away from the type of secluded and verdant vistas and experiences on offer in the uninhabited regions you can explore on a yacht. All this is ideal for a yachting holiday on either a motor yacht or sailing yacht, on a very large boat or smaller superyacht, on a mega yacht or crewed catamaran. Because all of these boat types find their home in the French West Indies and offer their charter guests an amazing holiday platform. The average annual temperature sits around 30°C/86°F and with the best weather from December through to April, it’s no surprise that the French West Indies receive most of their visitors during the festive season. From volcanic heights to underwater cave systems, visitors can take on the challenges the natural environment has to offer or bask on the beach under the majesty of mountains. Let’s take a quick look at each of the main places to visit in the French West Indies. If you want more in depth information and advice about a yacht charter in each, just click on the heading for more detail. Consisting of two strikingly different islands separated only by a 50m strait, the activities available in Guadeloupe are just as contrary. On the volcanic island of Basse-Terre, an itinerary might include a jungle trek before canyoning back to the shore. The activity is intense, with abseiling and swimming through narrow rocky ravines all par for the course on this adventure. La Soufrière is the highest peak in the Eastern Antilles at 4,800ft, and it is also an active volcano, although activity is infrequent and mild. The brave can drive up the sides of the volcano, or view it from vantage points across Guadeloupe National Park: a UNESCO natural heritage site. 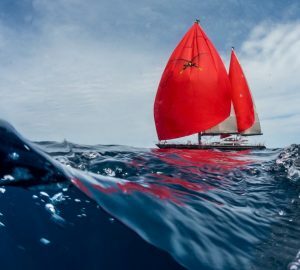 The prevailing winds in the region make Guadeloupe excellent for sailing, whether in a catamaran or a laser sailing boat. The mostly flat territory of Grande-Terre has sandy white beaches and sheltered clear water bays that are prime swimming, snorkelling and diving areas. The plethora of wildlife will keep adults and children alike entertained and there is the chance to see dolphins, whales and turtles in the region. Central to the string of islands that makes up the Lesser Antilles part of the French West Indies, Martinique features dramatically different biomes all upon the same island: Rocky mountains are encircled by lush tropical forests which are home to spectacular flora and fauna. Seductive bays and coves surround the pale beaches that lead inland by nothing more than a footpath through the brush. As the island’s popularity grows amongst yacht charterers, more marinas are opening up along the coast that cater to yachts greater than 50 metres. Visitors to the island will discover a sprawling capital in Fort-de-France where the island’s most famous marina is also based. An island of ruins and volcanic action, Martinique is as diverse in its landscapes as its inhabited regions. Martinique retains a moderate temperature of 26°C/79°F throughout the year and has the same low rainfall that the rest of the Antilles is blessed with. As such, Martinique appears to have a perpetual summer and holiday makers will be treated to much the same experience whether they visit in March or September. Visitors will discover that Martinique has a strong crafts heritage ranging from culinary delights to unique art and literature and all of it built from its diverse cultures. Tourism on the island is well developed and anyone coming to the island can expect friendly and laid back hospitality from local guides that know all the best kayaking, fishing and diving spots. Nestled between Guadeloupe and Martinique, Dominica has a wealth of natural beauty that makes it an ideal destination for eco tours. Not to be confused with the Dominican Republic, the ‘Commonwealth of Dominica’ is mostly covered in forest and geothermal activity from still-active volcanoes create unique diving and sight-seeing experiences not to be missed. The Champagne Reef and Soufriere Scott’s Head Marine Reserve are excellent spots for diving. The former has earned its name through the bubble produced by volcanic vents and the shallow waters make it easy for swimmers to encounter the channels and rocks formations that the lava flows have created over the millennia. Soufriere Scott’s Head Marine Reserve is home to some of the most untouched coral reefs in the whole Caribbean, let alone the French part of it: rare fish glide amongst the bright seaweed and visitors to the region will have the opportunity to glimpse sea turtles, frog fish, flying gurnards and sea horses. Hike along the Caribbean’s first long distance trail and UNESCO Heritage Site at the Waitukubuli National Trail. Mud baths fed by waterfalls, gorges and natural springs line the route while encounters with the local wildlife are frequent. Scott’s Head, Point Rounds and Layou along the western coast offer sheltered bays have become a breeding and calving ground for sperm whales. Visitors from mid-November through to March are most likely to catch a glimpse of these creatures before they continue their migration. The sparse human population of Dominica only emphasises how the island has become home to thousands of rare species both on land and in the water. A visit to Dominique is sure to enchant any wildlife enthusiasts and become a once in a lifetime experience that will be difficult to match again. Kayak tour through the magnificent arches of the Isle de Saintes coastline or take the time to relax on the soft white sands amongst these mainly uninhabited isles. Due to its range of activities, Terre-de-Haut is usually first on travellers’ itineraries and excellent photo opportunities abound from sun rise through to the silhouettes of dusk. Its serene landscapes that overlook the other islands make it a stunning wedding or honeymoon location, unspoilt by overpopulation or pollution. Historical sites dot the island yet it’s the natural wonders the Isles des Saintes possess that draw visitors: whales pass through the area from November through to March and calves are born in the volcanic bays in the surrounding Antilles islands. Clear, shallow waters make the Isles des Saintes ideal for learning how to dive, while fishing and sailing also have proven some of the most popular activities to do in the area. The picturesque coastal towns on the two inhabited islands are also ideal for a gentle stroll before heading to the beaches to unwind. Many visitors looking for solitude and distance from ‘modern inconveniences’ such as mobile phones enjoy disconnecting from work life and book return visits to Isle de Saintes. 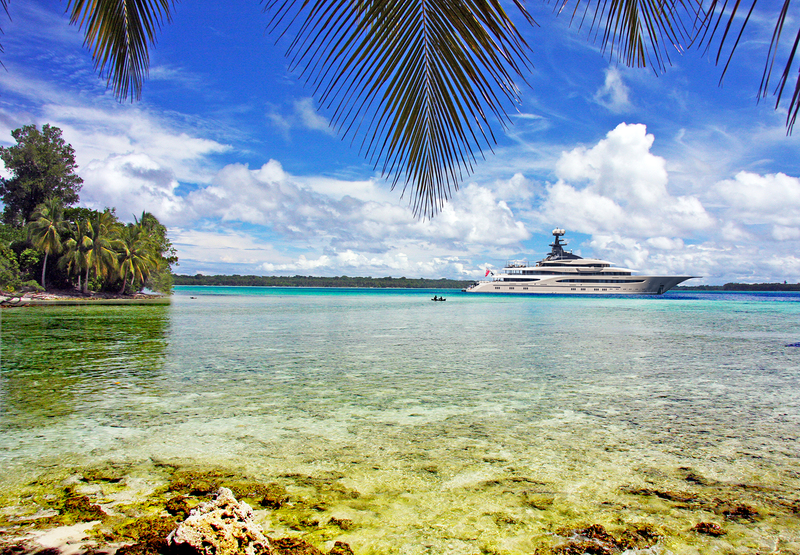 Discover all this for yourself and charter a luxury yacht in the French West Indies with the expert team at CharterWorld, the yacht charter specialist. The French West Indies is a wonderful and uniquely different part of the Caribbean. Explore Location Guides for great destinations near The French West Indies .